The "Food Fest!" website lists food festivals and food-related events across the state of Florida. Website visitors can find events using a calendar or map. Each festival listing includes a description of activities, location, contact information, and date. Besides the new additions, the annual event calendar has been upgraded to display both a list view and calendar view, and the festival details include the date, location, contact information, and scheduled activities. The "Food Fest!" website is a great resource for planning weekend getaways, spontaneous day trips, or "staycations." "Florida's food festivals are ideal entertainment for the whole family," says Joan Steinbacher, author of "Food Fest! Your Complete Guide to Florida's Food Festivals. "Besides scrumptious food, they feature a variety of amusements--musical acts, arts and crafts, car shows, kid-friendly activities, and much more." 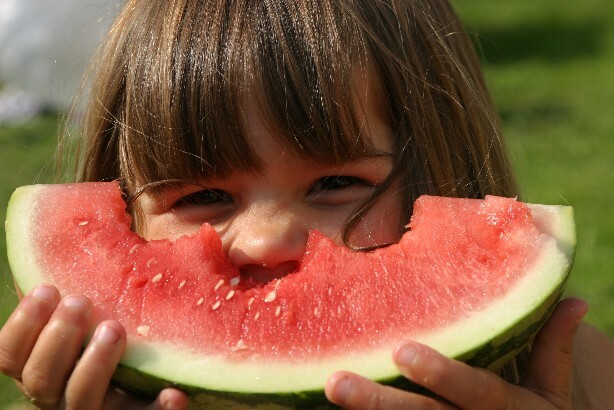 Finger-lickin' good BBQ Watermelon makes me smile!